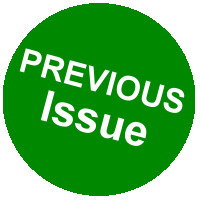 Dear Authors, Thank you for visiting our journal, Please submit your research articles through online or editor@ijirms.com on or before 30/04/2019 for the current issue. For more details, please contact Chief Editor Mobile: +91 97894 27699.
International Journal of Innovative Research in Management Studies (IJIRMS) is a double blind peer reviewed refereed monthly journal that publishes the research papers, case studies, book reviews, conceptual, empirical and exploratory papers from Business Administration, Marketing, Finance, Human Resource Management, Systems, Psychology, Entrepreneurship, Commerce, Economics, Sociology, Banking, Insurance, Mutual Funds, Library Science, Intellectual Property Rights, Statistics, Business Laws, Production, Education Management, Hospital Management, Total Quality Management, Business Ethics, Corporate Governance, SHGs, and any other management topics. The objective of the Journal is to disseminate knowledge, which ensures good practice of professional management and its focal point is on research and reflections relevant to academicians and practicing managers for sustainable business. The Impact Factor of our International Journal of Innovative Research in Management Studies (IJIRMS) is 0.7261, and Thomson Reuters Researcher ID is J-5005-2016. All submitted papers will be reviewed based on their quality by the Editorial Board and Reviewers. Acceptance Notification: 5 to 10 days after manuscript submission. Please submit your papers to editor@ijirms.com (or) Submit your Article ONLINE. 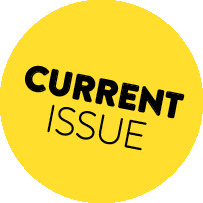 Articles will be published in Current Issue. Online copy will available within two days after completing the formalities. Vice Chancellor, South Eastern University of Sri Lanka, Oluvil, Sri Lanka. Professor, Department of Management, Frostburg State University, USA. Associate Professor, Department of Information Systems and SCM, Howard University, USA. Senior Occupational Therapist, King Fahad Medical City, Riyadh, Kingdom of Saudi Arabia. Associate Professor, College of Business and Economics, University of Gondar, Gondar, Ethiopia. Chartered Accountant, No.40/1, Shankar Nagar, (Lotus Eye-Care Hospital Road), Salem - 636 007, Tamil Nadu, India. Assistant Professor, PG and Research Department of Commerce, Government Arts College (Autonomous), Salem - 636 007, Tamil Nadu, India. Professor and Head, Department of Management Studies, Sri Vidya College of Engineering and Technology, Virudhunagar - 626 005, Tamil Nadu, India. 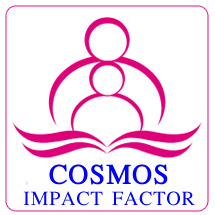 Professor and Director Academics, Muthayammal Engineering College, Rasipuram - 637 408, Tamil Nadu, India. Assistant Professor and Head, Department of Management Studies, Paavai Engineering College (Autonomous), Pachal, Namakkal - 637 018, Tamil Nadu, India. 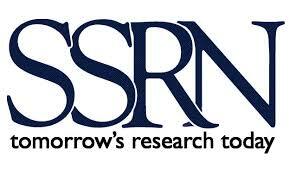 The Chief Editor, International Journal of Innovative Research in Management Studies (IJIRMS). Faculty in Management Studies & Deputy Controller of Examination, Periyar Institute of Management Studies (PRIMS), Periyar University, Salem – 636 011, Tamil Nadu, India. Professor and HOD, PG Department of Commerce and Management Studies, Brindavan College, Bengaluru - 560 063, Karnataka, India. Associate Professor, Department of Business, Norfolk State University, USA. Professor, Department of Business, Management and Accounting, University of Maryland Eastern Shore, USA. Associate Professor, Department of Business, Christopher Newport University, USA. Associate Professor, Department of Business, Leadership, and Information Systems, Regent University, USA. Professor, Department of Information Systems, Montgomery College, USA. Assistant Professor, Department of Journalism and Mass Communication, Eritrea Institute of Technology, Eritrea. Associate Professor, College of Business and Economics, Mekelle University, Ethiopia. Associate Professor, Maldives Business School, Male - 20175, Maldives. Associate Professor, Department of Library and Information Science, Eritrea Institute of Technology, Mai Nahfi, Asmara, Eritrea. Associate Professor, College of Business and Economics, Wollega University, Ethiopia. Professor, College of Business and Economics, Wollo University, South Wollo, Ethiopia. Professor in Accounting and Finance, College of Business and Economics, Bahir Dar University, Ethiopia. Senior Lecturer in Management, Department of Management, Faculty of Management and Commerce, South Eastern University of Sri Lanka, Oluvil, Ampara District, Eastern Province, Sri Lanka. Head of the Department, Institute of Technology, Ambo University, Ethiopia. Associate professor, Vaikunth Mehta National Institute of Cooperative Management, Pune - 411 007, Maharashtra, India. Associate Professor, Jamnalal Bajaj Institute of Management Studies, Churchgate, Mumbai - 400 020, Maharashtra, India. Assistant Professor, Department of Management Studies, School of Management, Pondicherry University, Pondicherry - 605 014, India. Assistant Professor, Department of Youth Empowerment, School of Youth Empowerment, Madurai Kamaraj University, Madurai - 625 021, Tamil Nadu, India. Assistant Professor, Periyar Institute of Management Studies, Periyar University, Salem - 636 011, Tamil Nadu, India. Associate professor and Head in Marketing, Balaji Institute of Management and Human Resource Development, Pune - 411 033, Maharashtra, India. Assistant Professor, DDE - Management Wing, Annamalai University, Annamalai Nagar, Chidambaram - 608 002, Tamil Nadu, India. Assistant Professor, Department of Commerce, Kristu Jaynati College (Autonomous), Bangalore - 560 077, Karnataka, India. Assistant Professor, Alagappa Institute of Management, Alagappa University, Karaikudi - 630 003, Tamil Nadu, India. Assistant Professor, Department of Management Studies and Commerce, Sri Sathya Sai Institute of Higher Learning, Ananthapur - 515 001, Andhrapradesh, India. Senior Assistant Professor, School of Management, SASTRA University, Thanjavur - 613 401, Tamil Nadu, India. Assistant Professor, Department of Commerce, Annamalai University, Annamalai Nagar, Chidambaram - 608 002, Tamil Nadu, India. Associate professor & Head - Marketing, Balaji Institute of Modern Management, Pune - 411 033, Maharashtra, India. Professor and Head, AR School of Business, Dindigul - 624 206, Tamil Nadu, India. Professor and Head, Department of Management Studies, Gnanamani Institute of Management Studies, Pachal, Namakkal - 637 018, Tamil Nadu, India. Manager - Service Delivery, Precision Infomatic (M) Pvt. Ltd., Mumbai - 400 703, Maharashtra, India. Professor and Head, Department of Management Studies, Muthayammal Engineering College, Rasipuram - 637 408, Tamil Nadu, India. Professor, Department of Management Studies and Commerce, Sri Sathya Sai Institute of Higher Learning, Ananthapur - 515 001, Andhrapradesh, India. Professor and Head, Department of Management Studies, Priyadarshini Engineering College, Vaniyambadi, Vellore District - 635 751, Tamil Nadu, India. Assistant Professor and Head, Department of Commerce(U/A)Day, PSG College of Arts and Science, Coimbatore - 641 014, Tamil Nadu, India. Assistant Professor, Department of Business Administration, Arignar Anna Government Arts College, Namakkal - 637 002, Tamil Nadu, India. Assistant Professor & Head, Department of Commerce, Devanga Arts College (Autonomous), Aruppukottai - 626 101, Tamil Nadu, India. Associate Professor, Department of Management Studies, Chettinad College of Engineering and Technology, Karur - 639 114, Tamil Nadu, India. Associate Professor, RL Institute of Management Studies (Autonomous), Madurai - 625 022, Tamil Nadu, India. Chief Librarian, Department of Library, Paavai Engineering College (Autonomous), Pachal, Namakkal - 637 018, Tamil Nadu, India. Associate Professor and Head, Department of Management Studies, NH-7, Namakkal - Karur Main Road, Namakkal - 637 207, Tamil Nadu, India. Assistant Professor, Department of Information Technology, Institute of Technology, Ambo University, Ethiopia. Assistant Professor and Head, Department of Management Studies, Vasavi Vidya Trust Group of Institutions, Salem - 636 103, Tamil Nadu, India. Department of Business Administration, Loyala College (Autonomous), Chennai - 600 034, Tamil Nadu, India. Associate Professor, Sona School of Management, Sona College of Technology (Autonomous), Salem - 636 005, Tamil Nadu, India. Assistant Professor, K.S.R. School of Management, K.S.Rangasamy College of Technology (Autonomous), Tiruchengode - 637 215, Tamil Nadu, India. Assistant Professor and Head, Department of Commerce with Commputer Applications, Devanga Arts College (Autonomous), Aruppukottai - 626 101, Tamil Nadu, India. Assistant Professor, Department of Management Studies, Muthayammal Engineering College, Rasipuram - 637 408, Tamil Nadu, India. Assistant Professor, Department of Management Studies, Francis Xavier Engineering College, Tirunelveli - 627 003, Tamil Nadu, India. Assistant Professor, PG & Research Department of Commerce, Salem Sowdeswari College, Salem - 636 010.
a) The manuscript should be typed in 12 point - Times New Roman Fonts English with a one and half space and single column with 1 Margin on a Standard A4 size Paper. The Page numbers should be at the center of every page. All headings & sub headings must be in bold letters. b) The whole manuscript has to be in ONE MS WORD FILE only, which will start from the covering letter, inside the manuscript. c) Abstract alone will not be considered for review and the author is required to submit the complete manuscript in the first instance. d) The journal gives acknowledgement w.r.t. the receipt of every email within twenty four hours and in case of non-receipt of acknowledgment from the journal, w.r.t. the submission of manuscript, within two days of submission, the corresponding author is required to demand for the same by sending a separate mail to the journal. e) The author (s) name or details should not appear anywhere on the body of the manuscript, except the covering letter and the cover page of the manuscript, in the manner as mentioned in the guidelines. The title of the paper should be bold typed, centred and fully capitalized. Author (s) Name, Designation, Affiliation(s), Address, Mobile/Landline Number(s), and Email address should be given underneath the title. The abstract should not be more than 200-300 words. The abstract must be informative and explain the background, aims, methods, results & conclusion in a Single Paragraph. Abstract must be followed by a list of keywords, subject to the maximum of five. These should be arranged in alphabetic order separated by commas and full stop at the end. All words of the keywords, including the first one should be in small letters, except special words e.g. name of the Countries, abbreviations. Manuscript must be in English Language and prepared on a standard A4 size paper. It should be free from any errors i.e. grammatical, spelling or punctuation. It must be thoroughly edited at your end. All the headings must be bold-faced, aligned left and fully capitalized. Leave a blank line before each heading. All the sub-headings must be bold-faced, aligned left and fully capitalized. These should be simple, crystal clear, centered, separately numbered & self-explained, and titles must be above the table/figure. Sources of data should be mentioned below the table/figure. It should be ensured that the tables/figures are referred to from the main text. The list of all references should be alphabetically arranged. The author (s) should mention only the actually utilized references in the preparation of manuscript. Each manuscript will initially be evaluated by the Chief Editor / Editors, who may make use of appropriate software to examine the plagiarism. The manuscripts clearing the plagiarism test will be forwarded to two referees for blind peer review, each of whom will make a recommendation to publish the article in its present form / modify / reject. During this period referees shall treat the contents of papers under review as privileged information. The review period varies from a day to a week (Maximum fifteen days in extra ordinary situations). modification / rejection to the author’s concerned on the same day of the receipt of the same. International Journal of Innovative Research in Management Studies (IJIRMS) is a monthly double-blind peer reviewed refereed open access International e-Journals, which provides instant, worldwide and barrier-free access to the full-text of all published manuscripts to all interested readers in the best interests of the research community. IJIRMS Journal does not sell published manuscripts and offer all published manuscripts free of cost to all members, researchers, libraries, organizations, companies and universities all around the world. Open access allows the research community to view, download, print, and redistribute any manuscript without a subscription, enabling far greater distribution of an author's work than the traditional subscription-based publishing model. Authors may also use their published articles on their own or institution's website. Many authors in a variety of fields have begun to realize the benefit that open access publishing can provide in terms of increasing the impact of their work, because there is no charge at all to access its research content. 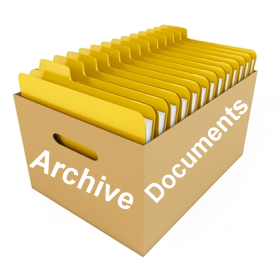 As costs are involved at every stage of the publication process, from manuscript handling form submission to publication, peer-review, copy editing, typesetting, tagging and indexing of articles, Electronic composition and production, hosting the final article on dedicated servers, electronic archiving, server and website update and maintenance, supporting sales and marketing costs to ensure global dissemination and administrative and overheads, and also to maintain the quality standards it has been decided to collect a nominal publication fee. The author is asked to pay manuscript publication fee. For Indian authors working / studying in India: Rs. 1,000/- (1000 INR) – For Three Authors. For Overseas authors: US $ 50 (Fifty U.S. Dollars) – For Three Authors. Payable for manuscript ACCEPTED for publication irrespective of the number of authors in the same, which will be billed to the corresponding author only. The amount of fee charged by the journal is lower than most of the e-journals. The publication fee must be paid prior to its publication. Colour figures will not be charged extra. The manuscript accepted for publication will be processed further towards publication after the author pays the publication fee.